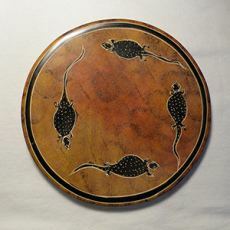 Round soapstone plate with geckos. Diameter approx. 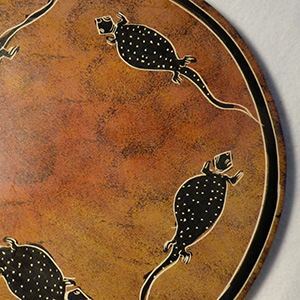 20 cm, height 1 cm, weight: approx 470 g. Handmade in Kisii, Kenya. All soapstone items are handmade, are therefore unique and can vary in size, appearance, colour and shape.